Sorry... the 2017 BMW 320 is no longer being sold as new. Instead, take the first step to a great deal on 2018 BMW 320 with a free price quote! BMW's compact 3 Series is the luxury automaker's bread-and-butter model and best-selling line. It's available as a sedan, wagon or Gran Turismo hatchback and as the M3 performance sedan. Numerous drivetrains are offered, including turbocharged gas four-cylinder engines (320i and 330i models); a turbo-diesel four-cylinder (328d); a turbo gas six-cylinder (340i); and a plug-in hybrid (330e). The five-seat 3 Series comes with rear- or all-wheel drive (designated xDrive) and competes with the Audi A4, Cadillac ATS and Mercedes-Benz C-Class. 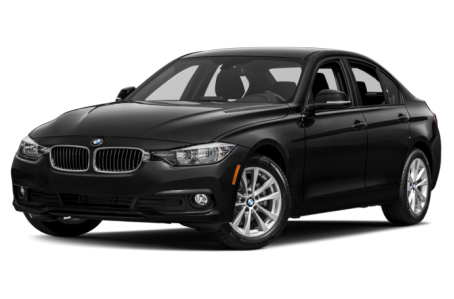 The BMW 330e compact sedan is a plug-in hybrid that combines a 180-hp, turbocharged 2.0-liter four-cylinder engine with a 76-hp electric motor. A lithium-ion battery gives the 330e an EPA-estimated electric-only range of up to 14 miles before the gas engine takes over. Unlike many hybrids, the 330e uses an eight-speed automatic transmission instead of a continuously variable automatic. The M3 is a high-performance version of the 3 Series sedan. It's powered by a turbocharged six-cylinder engine that's rated at 425 hp in base form. For 2017, the adaptive M Suspension is now standard.